This HungryTexan is stubborn enough to try anything once, and this weekend I decided to try my hand at horchata – a milky latin beverage I’ve oft enjoyed at El Salvadorian restaurants. There are lots and lots of varieties of horchata made from combinations of almonds, rice, sesame seeds, barley or tigernuts. I tried an almond and rice-based varietal, and the final product was sweet and nutty with a pleasant creaminess that wasn’t overly rich. We sipped our horchata plain, but it would be a real treat frothed up in a latte or blended into a milkshake! Beware! This is a two day project and requires a good night’s soak for the flavors to really sync. 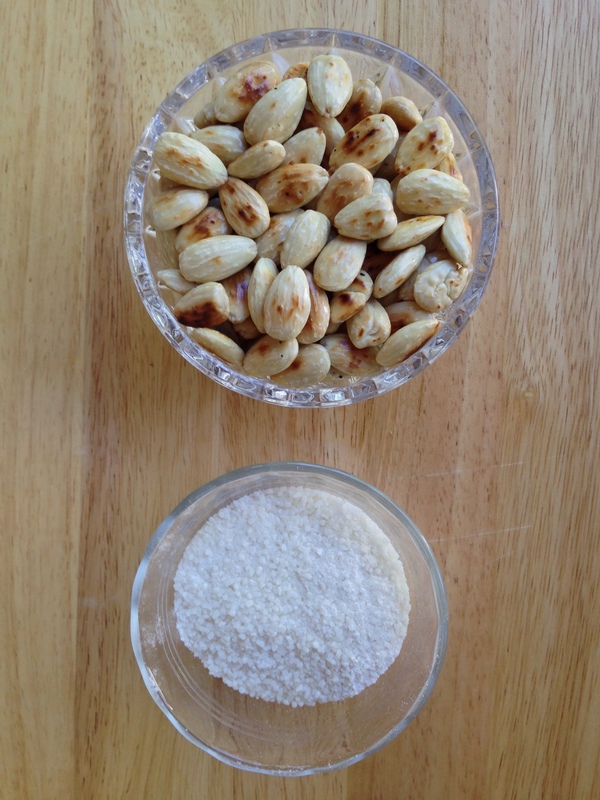 Start by blanching your almonds. Dump your almonds in boiling water for one minute and then strain & run under cold water. 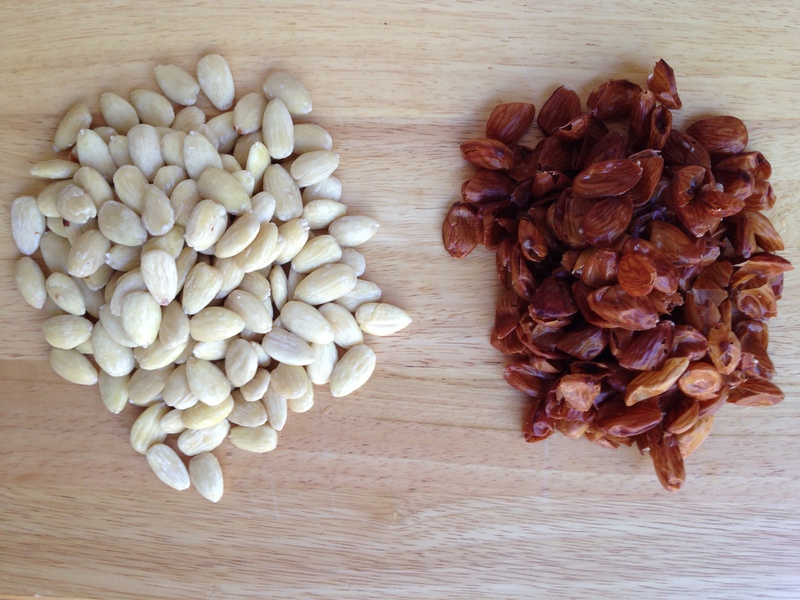 Blanching is key to being able to super simply pinch off the almond’s skin. Grab the almond at its fat part and pinch the skin away – they fly right off (literally, we had almonds fly across the kitchen!). Now you have a cup of naked almonds. Give them a nice toast in a completely dry skillet until they’re lightly browned. Next, in your grinding instrument of choice (coffee grinder, spice grinder, food processor) pulverize your rice into a fine, fine powder. 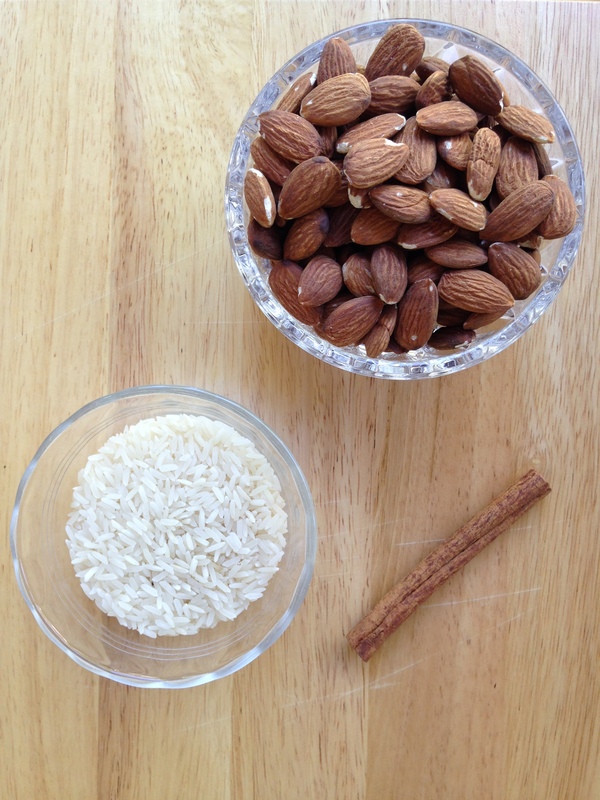 Then, in a large jar or jug combine 3 cups of hot water, your almonds, your rice powder and your cinnamon stick. Give it a good stir and let it cool to room temperature before refrigerating. After your mixture has had an ample soak, remove the cinnamon stick and blend everything together in a blender. Blend until your almond/rice mixture is very powdery. Add the extra two cups of cold water and continue blending. Next comes the messy part. With a very fine mesh strainer and cheesecloth, strain your mixture. It’s slow going. Be patient! Strain it twice if you need to. Get out as much sediment as you can and then stir in your simple syrup. 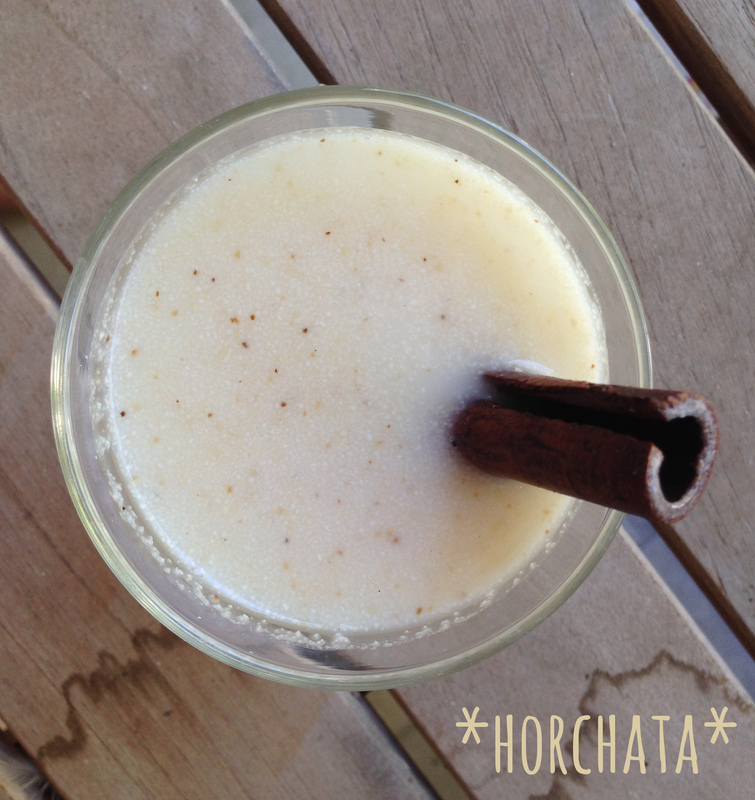 Pour into a glass and enjoy while listening to Vampire Weekend’s, Horchata.